Cruise in comfort! Attention To Detail offers installed lumbar back support. Add an adjustable lumbar for some relief to your drive in Connecticut. Cruise in comfort! With a Lumbar Support System. 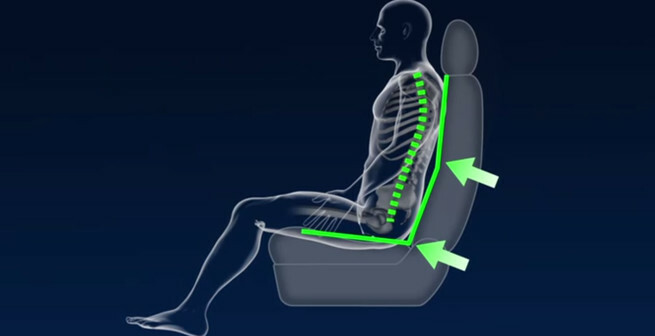 You can set the amount of lower back muscle support you need for your individual comfort while driving. 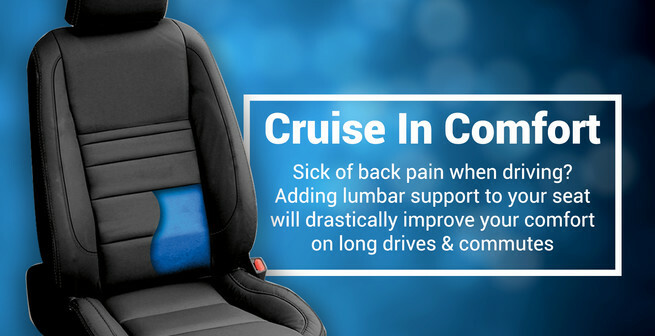 Tucked away inside the driver or passenger seat, the Lumbar Support System provides the precise amount of extra lumbar support to your lower back, decreasing lumbar strain at your command. With just the touch of a finger, the seat mounted switch activates a pneumatic motor filling the bladder within the seat. Make every drive a comfortable drive. The Lumbar Support Systems are designed to be universal, however, prior to installing the unit, you'll want to discuss the install of it determine whether or not it will fit your vehicle. Front-mount units are installed between the inner foam and outer material of your seat, while rear-mount bladders are used in situations where your seat's exterior material is bonded (glued or stitched) to the supporting inner foam material. We know which systems fit what seats for the proper install. Combine with a Seat Heater for optimum seating comfort. 3 Year / 36,000 Mile Warranty backed by Attention To Detail.